A classic reference enters the digital age! The long anticipated update of Steve Meltzer’s Photographing Your Craftwork is here—and finally artists have a guide that helps them produce high quality images of their work. 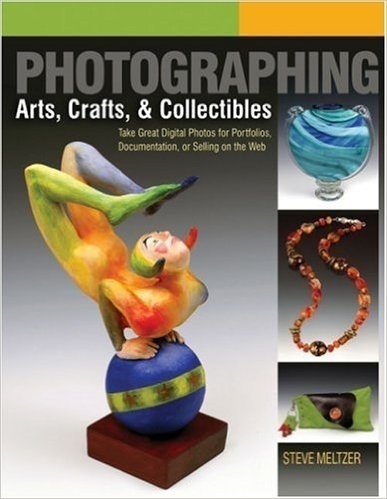 Cutting through the jargon and hype around digital photography, Meltzer explains in plain language how digital cameras operate, and explores specific techniques for lighting and photographing jewelry, pottery, glass, installed art, stamps, coins, dolls, and other collectibles. Because a great portfolio and smart use of the internet are so important for professional success, there’s also advice on using such photo editing programs as Adobe™ Photoshop® and CorelPHOTO-PAINT Pro® to turn images into great photographic prints, exciting websites, eye-catching marketing materials, and submissions for exhibition jurying. Please note we are closed weekends. AV Closet equipment rentals for the weekend must be made for Friday and returned on Monday.